The final stop on Enza’s blog tour is over at JakiCheli’s blog, with an interview and review. Please stop by and see what she has to say…and remember, it’s the final chance to comment and have your name put in the drawing for the gift cards. Septic tanks and dental work?! In the same sentence??? Yup. It’s just been that sort of a week, beginning last week when the septic tank issues started…again. The dental thing started weeks ago. Actually sometime in January. But we’ve already established the fact that when it comes to dentists, I’m a coward. So, since the pain was only intermittent…usually more off than on…I put this appointment off. In fact, I’d convinced myself at one point that it was the wisdom tooth I had pulled a month or two ago that was the problem. I’d just had this tooth filled last September, so it must have been something to do with the other. Yet I put off making an appointment, sucking down ibuprofen like candy and using Maximum Strength Ambesol like crazy. Even when hot and cold foods sent the pain through the ceiling, and it was affecting my sleep, which I don’t need any help with, thank you very much. Four and a half years of insomnia means I don’t get nearly enough…ever. So anyway, I made an appointment for this morning (well, Thursday morning), woke up after four and a half hours and sat at my desk trying to stay calm. And then the receptionist called and said they had a cancellation. Could I get there right away. You betcha. Might as well get it over as quickly as possible. Sure enough, there was a tiny little cavity under the filling. How a tiny little cavity can cause that much pain is beyond me, but there it was. Of course me being me, the one shot that would work for the vast majority of other dental patients couldn’t possibly work for me. So she gave me one in the back of my mouth…where the upper and lower jaws meet. The one that numbs the whole half of your face. And that didn’t work. So she gave me another one on the other side of my mouth. Finally. Only three shots this time. It sure beat the seven and eight I received at the last two appointments. There was one little problem though. With shots on both sides of my mouth, my bottom lip was completely numb. The whole lip. The assistant approached me at the counter when I was paying the bill and asked me to smile (she’d forgotten to write down something). Smile? Seriously? I tried but I’m not sure my lip moved at all. When I got home I discovered that I couldn’t really talk. Well Icould. I just sounded like I’d had about forty bottles of whiskey. I also found that I didn’t dare try to eat…if I wanted to avoid biting my tongue in half. And when I found myself holding a finger under my lower lip to make sure the water didn’t run out of my mouth as fast as I was trying to drink it, I just gave up and took a nap. All in all I think I deserve a vacation. That or a good laugh. There are some great clips of The Carol Burnette Show on YouTube. I’ve watched it in reruns, and wish there were live variety shows like this today. It would be a riot. 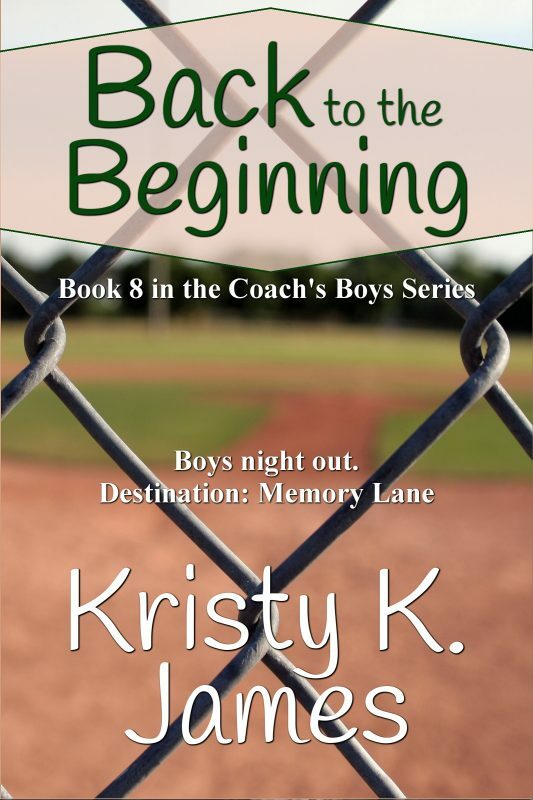 This entry was posted in Romance and tagged A Fine Mess, dentist, Enza, Enza blog tour, JakiCheli, Kristy K. James, Reluctant Guardian, The Carol Burnett Show, The Daddy Pact, The Stranger In My Head. Bookmark the permalink. I have had dentues for 33 years but still remember my dread of the drill. Having a tooth or teeth pulled wasn’t a problem for me but hated the thought of a possible slip of the drill, so made me very uneasy any time that happened. You deserve a nap! Yeah, but did I deserve a 3 hour nap? I may blog about my experience with the SOS today…but probably not until I can think about it and NOT want to wring someone’s neck, lol. Ugh You poor thing. Get plenty of rest. Dental issues can be extremely draining. I have had my share of septic nightmares. I do not envy you. 🙁 I hope you get it fixed soon. That video was too funny! I agree with the video being so funny. Have seen the dentist one many times and still laugh and enjoy it every time. Here’s hoping the septic tank issues are a memory by the end of next week. It’s hard to find people who actually want to work on one…and I don’t blame them a bit! I sympathise. I hate the dentist. Even when I’m going for a routine teeth cleaning I’m quaking with fear in the waiting room. 7 or 8 injections? Ouch. There is something about it, Emma…I understand completely. It’s like all of their instruments look like torture devices…and the sound and feel of them against your teeth…like fingernails on a chalkboard…or a rake across the sidewalk. Yuck. OMG can you imagine?!?! Insane!! I hate dental work and septic systems and you’ve definitely had your share of both. Take a nap…a long nap and hopefully when you wake up, all will be right with the world again! LOL!! HUGS!! OMG enough of the health issues already. It’s time for you to have a break. Is there anything funnier than tim Conway on Carol Burnett? Nearly had a urinary type accident I was laughing so hard. Yeah, Tim Conway is fantastic. I wanted to post one he did with Lyle Waggoner where Lyle was a prisoner and Tim was a Nazi soldier. OMG that is SO funny…but it’s like 12 minutes long so I went with these two. If you get a chance, watch it. I just love watching the other actors react to his craziness!